Here I sit, the next morning since finishing LUX, and I am still trying to figure out my thoughts on it. I just do not know where to start or what to say. 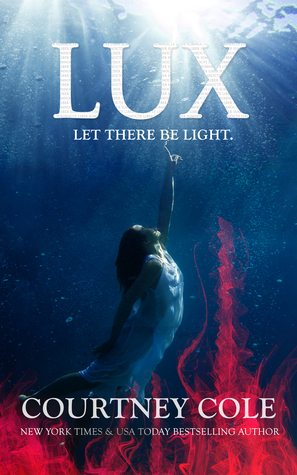 I glanced over a few reviews that mentioned the repetitive scenes in LUX that mirrored scenes from previous 2 books. And yes, I get that. I saw what the author was trying to do there. But my problem is just the nature of it all. I can honestly say I was confused 99% of the book. Just when I thought I was getting a good grasp on everything, something played out that had me losing all traction and back at confusion. Now while I did love NOCTE and VERUM, I just couldn't bring myself to love this one. I liked it. Just not in love with it. I didn't understand anything that was going on. I think this is why I don't do well with physiological thrillers. Maybe I am not smart enough for them. I rated this book 3.5 stars (I always round up to the next full star) mainly for the effort behind the physiological suspense and the mystery surrounding it all. If you have read this series, I’d love to hear your thoughts.